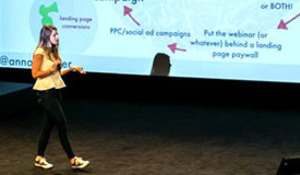 Missed out on the Unbounce Conversion Road Trip? Check out the Facebook albums, the grams and what attendees had to say on Twitter. 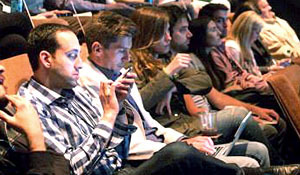 A four-day, multi-city event series focused on the best in conversion and marketing. 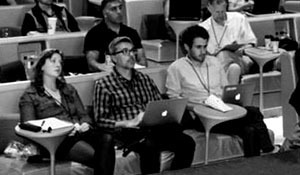 More than 13 attendees shared what they learned and added their own insights, blogging about landing pages, PPC, CRO, content, video, email, sing-a-longs and more. The #1 question after a conference is always, ‘Where are the slide decks?’. Problem solved! Download 30+ speaker slide decks right here. We know how stressful it can be to attend a conference and try to take notes at the same time. Or you miss the conference altogether and forever wonder what wisdom you've passed on. We filmed a select number of speaker presentations from the Unbounce Conversion Road Trip. Check ‘em out below. Subscribe to Unbounce Events to get the latest conference updates, awesome discounts and conference goodies including: videos, slide decks, notes, blog posts, photos and more! STAY IN THE LOOP FOR 2017! In June 2015, Unbounce hit the road with the most talented and insightful conversion optimization and marketing pros bringing fresh, actionable content to New York, Toronto, Chicago and Boston. Even if you didn’t attend, check out the notes, the speaker videos, the slide decks and the photos. Seriously guys! This @unbounce #ConvRoadTrip is awesome. Great stuff. I'm thinking I need an Unbounce tattoo too. @AGConsult w/ tons of energy at #ConvRoadTrip despite being jetlagged (12am in Belguim). "Bullets kill kittens but help your conversion."